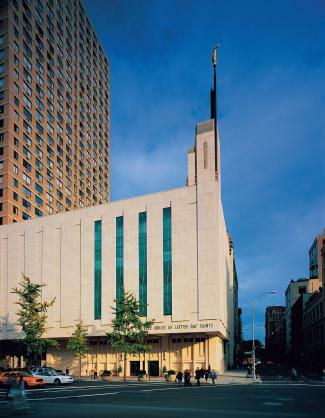 In 2002, the Church of Jesus Christ of Latter-day Saints (the Mormon Church) announced plans to establish a temple in Manhattan within two years to meet the needs of its fast-growing congregation of 42,000. When the Church decided to adapt an existing building for this purpose, WM Group was called on to execute a full mechanical, electrical and plumbing renovation of a 40,000-sq-ft area within the structure - on a fast-track schedule. The project required close coordination between architectural, structural and MEPT trades. WM Group produced comprehensive MEPT design plans for the remodeled building, which included 100-ton air-cooled chiller and chilled-water system; a low-temperature heating system using steam-to-hot-water heat exchangers; and a new 120/208 V, 2000 A electrical service. In addition to installing these upgrades, the firm also provided construction assistance services and on-site startup and commissioning assistance. The temple opened in spring 2004 with a dedication celebration, tours for the general public and international media coverage.